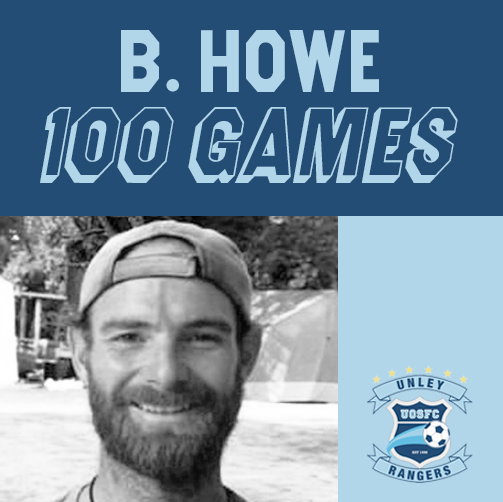 Congratulations to Brenton Howe who will be playing his 100th game for the Rangers this weekend! 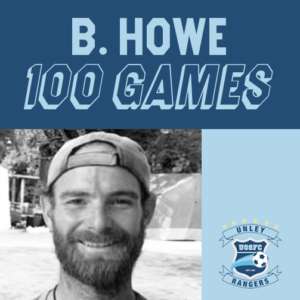 Brenton ‘Howie’ Howe finally plays his 100th game for the Rangers. Howie absolutely loves playing at the Rangers, there is nothing he enjoys more than game day. From pre-game warm up to warm down beers his positive attitude and energy is boundless. His first Stint at the Rangers dates back to the Early 2000’s where he played regularly for the A and B grade. He is a talented footballer but what makes him stand out on the pitch is his work rate every game. 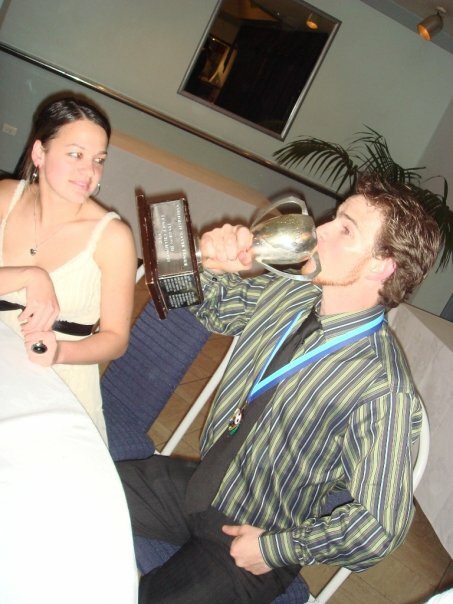 His ability to out work the opposition combined with his skill on the ball saw him cement his place in the A Grade for a number of seasons. His main goal was always to have fun and enjoy his football, and this mantra rubbed off on to the teams he played for. After helping the Rangers achieve success on and off the pitch opportunities outside football arose which meant he pushed pause on his Ranger career and headed interstate. 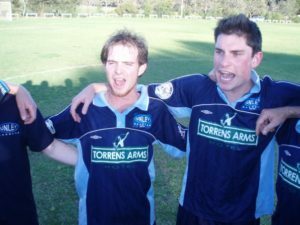 During his time away and in between travelling the world he always kept in touch with the club returning religiously to Ranger Park to catch up with mates over few beers and watch a game or two. Luckily for the Rangers Howie moved back to Adelaide and before even unpacking he was onto the Ranger network seeing who was coming out to have a kick. Last season he put his hand up to coach and worked really hard to get as many blokes out as he could. That season he once again showed the same qualities he brought all those years ago scoring 20 yard screamers and making gut busting chases to win the ball back. It’s been an honour and a privilege to play with you again Howie. You’re a true role model on how to go about football and how to go about life. 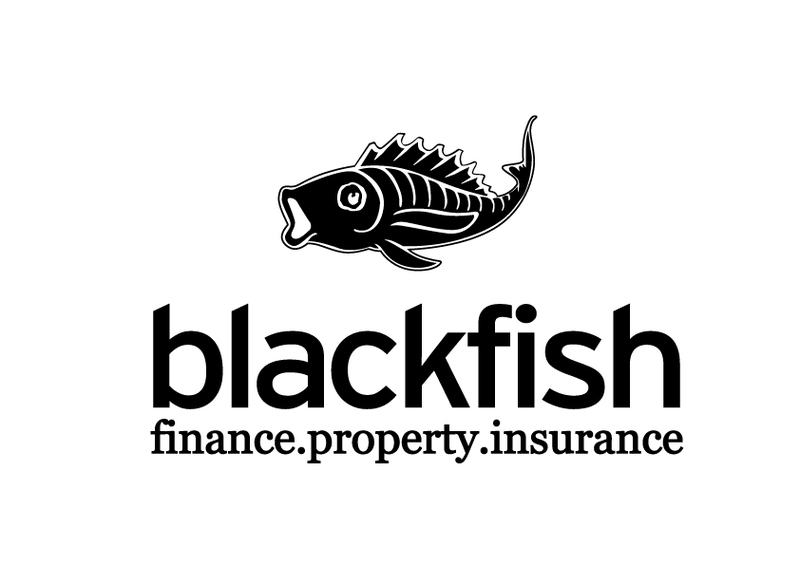 Go well on the weekend mate hopefully we can bring you home a win.